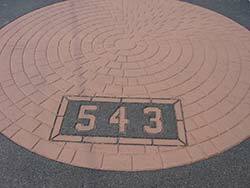 Decorative Paving – Let Your Driveway Make a Statement! Transform your driveway into an entryway that reflects your personality and taste with decorative paving from B.R. 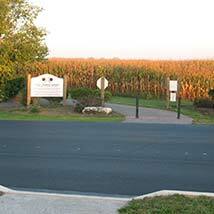 Kreider Driveways! We offer a wide variety of decorative paving options to provide the look and feel that’s right for you. 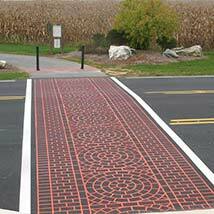 StreetPrint, the most innovative product in the paving industry, is imprinted asphalt that provides design and color choices to complement your environment. With our revolutionary, patented process we can create a textured, decorative surface replicating the warmth and beauty of hand-laid brick or stone. 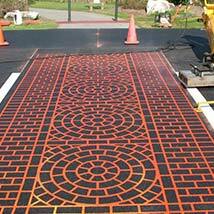 After paving is complete, we use an infrared technology to bring your paving back to a hot temperature to imprint the asphalt. 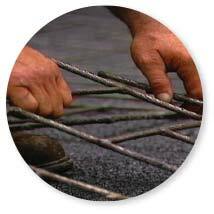 We then use a wire mesh grid to create the design imprint. Adjustments are made to keep the template in alignment and hand tooling is done to achieve proper depth. Finally, a protective coating is applied providing color, protection and durability. 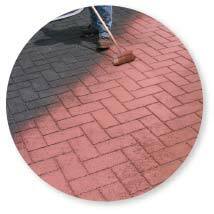 Your paving will be solid, sealed against water damage and worry free. 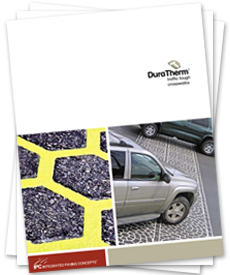 DuraTherm® is a thermoplastic material that is inlaid into imprinted asphalt. 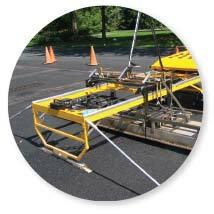 It is installed flush with the asphalt, as a result, it is extremely resistant to wear caused by traffic and is very snowplow friendly. 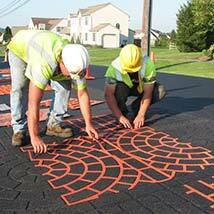 Since DuraTherm’s market introduction it has been installed in dozens of important street projects in communities of all sizes across North America. 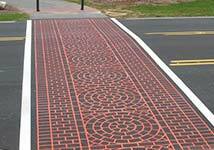 These installations have drawn the attention of municipal officials, engineers, specifiers and other influencers who appreciate the solutions that DuraTherm® brings to their ever-present concerns about both pedestrian safety and road maintenance. Add Some Color & Save! 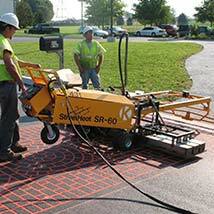 With Savings up to 50% compared to other paving alternatives, B.R. 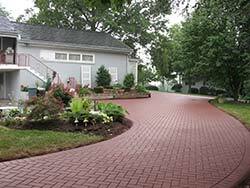 Kreider Driveways’ Decorative Paving can add color and charm to any driveway. 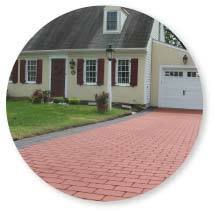 Using our decorative paving on the edges of your driveway is another great way to add some color and make an impact! 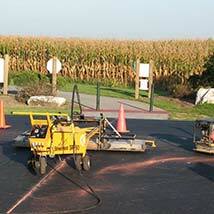 TrafficPatterns® XD is a product for existing asphalt similar to the look of Duratherm. 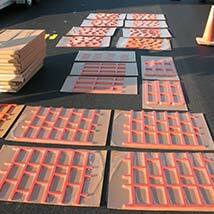 It is great for high traffic crosswalks with fast installation for minimal traffic disruption. 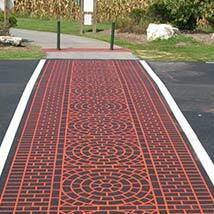 TrafficPatterns® XD is also skid and slip resistant and the finish is smooth providing for a pedestrian friendly surface. Your Kreider Driveway representative can help you make the choice for which product is best for you!